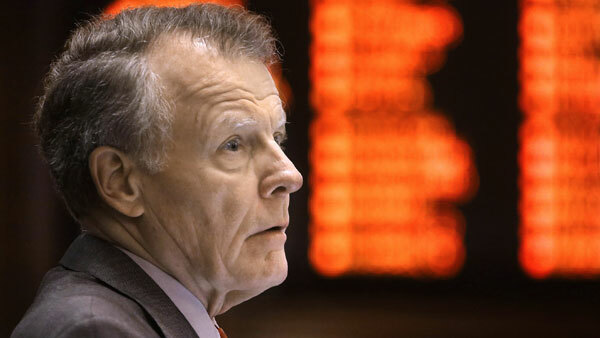 SPRINGFIELD, Ill. -- Lawmakers are scheduled to consider a new plan introduced by House Speaker Michael Madigan to end weeks of negotiations over plugging a $1.6 billion hole in this year's state budget. The Legislature faces a fast-approaching deadline to act as money runs out for subsidized childcare programs, prisons and court reporters. The Chicago Democrat introduced the plan late Monday. It would authorize Republican Gov. Bruce Rauner to transfer $1.3 billion from other purposes, including parks and conservation. The rest would come from a 2.25 percent across-the-board budget cut. Rauner has said for weeks that lawmakers were close to agreeing on a solution. Senate Democrats advanced their own plan earlier this month, but it has so far failed to clear the chamber. Madigan's plan will be presented in committee hearings Tuesday morning.